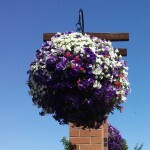 Making beautiful, long lasting planters and hanging baskets is like making anything, from apple pie to quilts to bookcases. If you start with good ingredients and handle them thoughtfully, you will have great results. t south porch against a brick wall is very different from a cool north-facing patio. 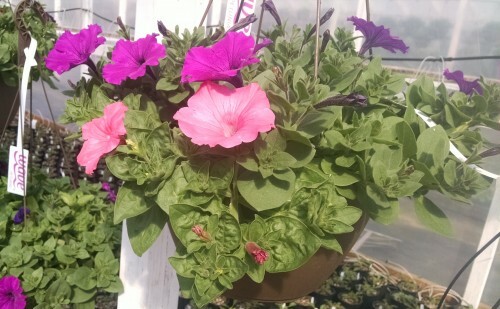 Selecting the right plants for your container or the correct nursery grown planter or basket is crucial to success. 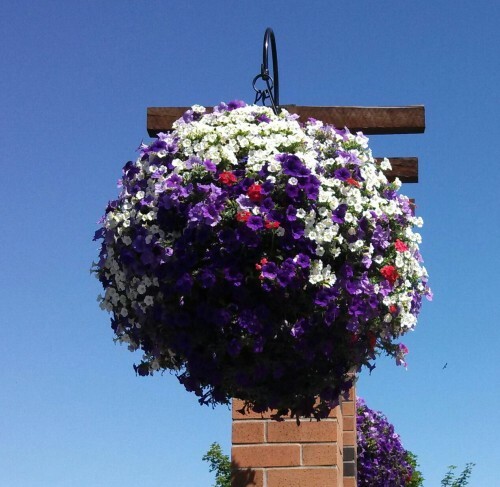 To see a list of great long-blooming, trailing and upright container plants for sun and shade, click here. Try to get your plants into the ground as soon as possible after purchase. 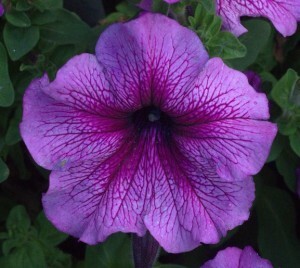 If you can’t plant them right away, place them in shady place where they are safe from pets and slugs. If you are planting directly in the ground, take the time to prepare the soil properly. Don’t work in your beds when the soil is saturated with water. The wet-test for soil workability is this: take a small shovelful of earth and toss it into the air. If it does not break into small clods when it hits the ground, it’s probably too wet to work. If you are gardening in containers, replace your potting soil each year for best results.